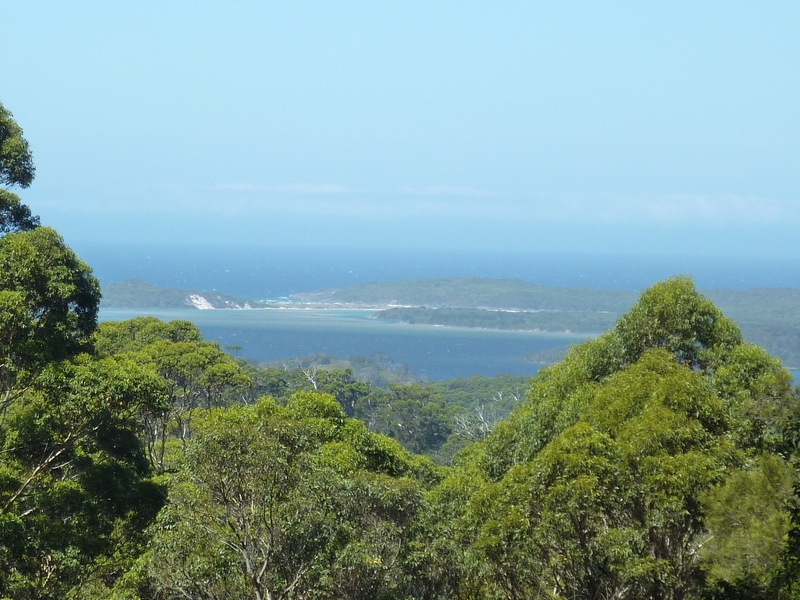 Rest Point caravan park is right on this inlet – stunning. 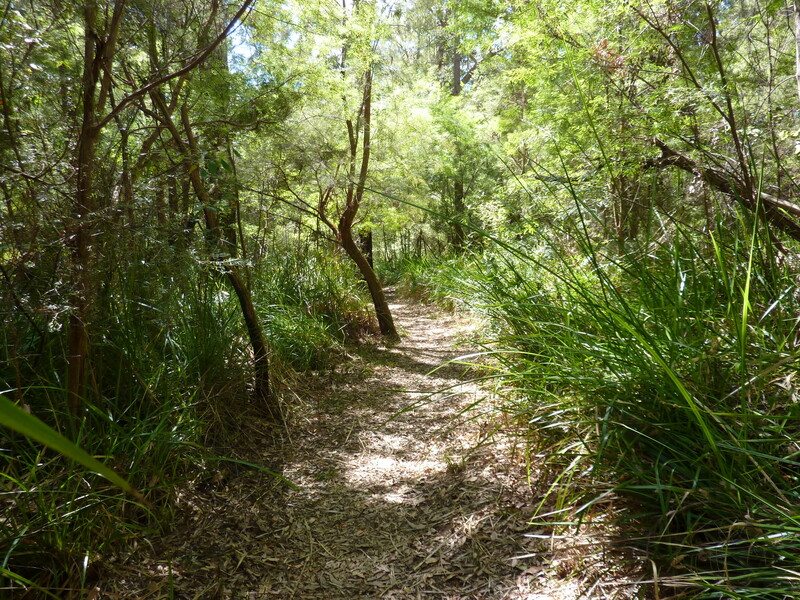 Nearby there are plenty of forest walks through old growth forest. 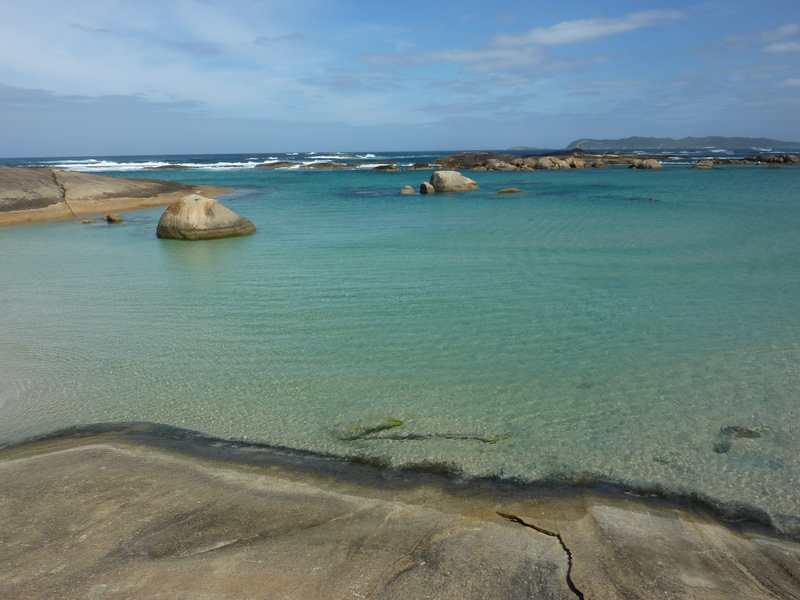 Greens pool, just one of the many beautiful beaches nearby. There’s so much to do around this area and the caravan park is more than adequate and so, so cheap. It’s $22 a night for a large powered site, and the 7th night of each week is free. That means total cost per week is $132.00. It’s $140 a week in a lot of the national parks and that’s without power. The sites here are grassed and it’s right on the banks of the Nornalup/Walpole inlet and to our rear is the Walpole golf course, so very picturesque. There’s so much to do here. A few days ago we visited Shannon National park and took a cheese and tomato sandwich there to toast on there gas bbqs for our lunch. It was lovely in the forest. Then we went and checked out Windy Harbour. That day it wasn’t living up to it’s name and was very calm. The coast there was gorgeous, with beautiful rocks formations rising out of the ocean all along the shoreline. We stopped and tossed in a line with a lure for half an hour or so, but no luck. It was a good day though, despite the lack of fish. 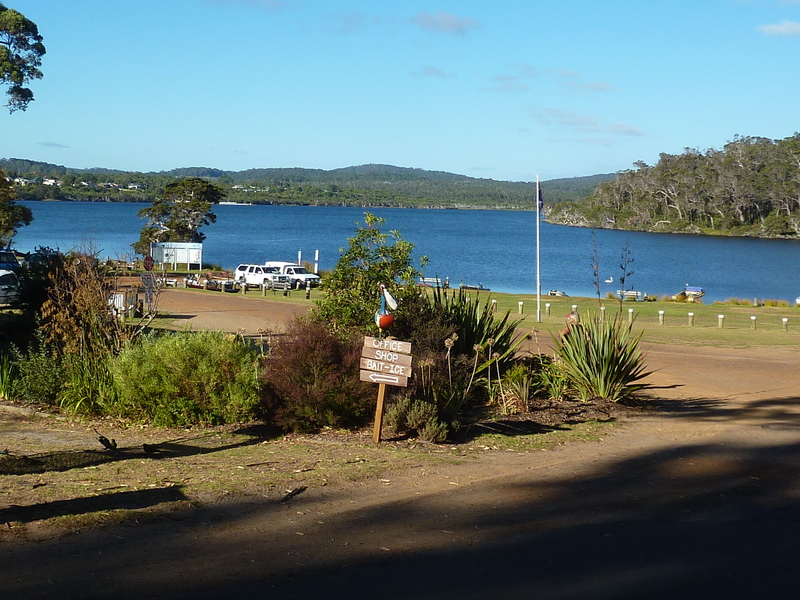 Yesterday we stayed around the campground and using some burley and prawns caught our lunch from the Nornalup inlet, off our caravan park jetty. I caught my first meal ever with 4 herring and Paul caught two. Today it was overcast with a few showers, so we went off into the nearby forests and did a few short bush walks, then went to local touristy herb farm and indulged ourselves with coffee and fig cake. Both were worth the calories, very nice. A few people here have little fire pits. One is made from the inside drum of a front loading washing machine. Being made of stainless steel and having mesh type walls, placed up on a couple of bricks it makes a superb well ventilated fire drum. The other is made from a cut off gas bottle. The person with the cut off gas bottle is selling them. I tried to talk ‘the master’ into buying one to use for our camp oven, but his enthusiasm was somewhat lacking compared to mine. Never mind, there will be a time when one day I can have a camp fire and use my camp oven. I have a leg of lamb in the freezer waiting for the day. I will post some pictures of the surrounding areas one day soon. We did hear about that from a few people but found ourselves with enough things to do and ran out of time. We try to do the free stuff first and keep the more costly things for either when we’re at a loose end, or if it’s something we’ve specifically targeted. It does sound like it would have been good. Next time perhaps, we’re at Mandalay in Busselton at the moment. Pristine caravan park with perfect amenities. Perfect place to keep kids entertained with pools, playgrounds and jumping pillows etc. we don’t have kids though ….. Scooters and bikes everywhere on weekend, but most have gone home now, phew!!!! Peace again. (Not meaning to sound like a cranky old lady, they were all very we’ll behaved, there was just so many of them. Felt like we were in a kindergarten). Yes, went there first day here. It’s called Sandy Beach. Lovely little walk. Love the caravan park. We snaffled a fire pit today and cooked a roast of beef in our camp oven. Burnt it, and neighbours weren’t impressed with the smoke. But, gee it still tasted good, and we’ll move the pit so as the smoke goes in a different direction tomorrow night. So, from our point of view, all good! Sounds like it is the best time of year to be down south. Nice calm weather etc. We loved Walpoe Rest Point and will go there again soonl. Particularly liked the golf course behind the caravan park, very convenient. Have you been along the walk from the park to the little beach (I can’t remember its name)? it goes from the RHS of the boat ramp through lovely forest.